Sorry to bother you, but you need to know about Mario Alberto Silva. 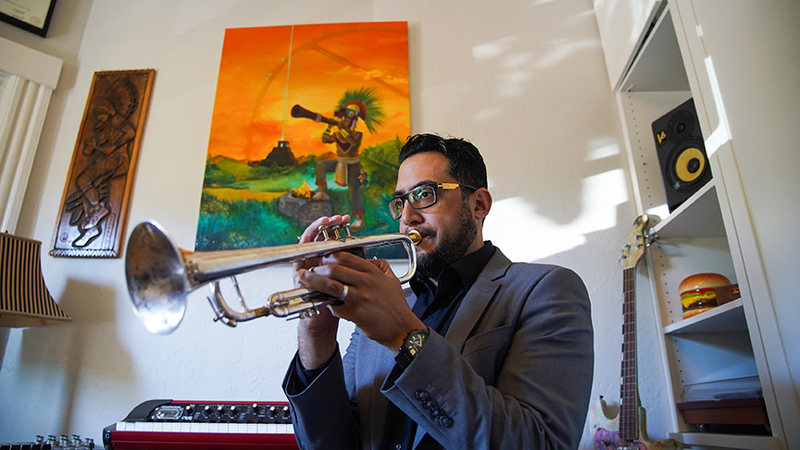 The 39-year-old Nicaraguan-American trumpet player from San Francisco’s Mission District is about to blow up. Despite contributing music for a film currently being critically lauded nationwide, the hard work for 2018 isn’t over for Silva, whose debut record, “Pan-American Sonata,” is scheduled to drop in Winter of 2018. It’s a versatile album musically, equally suited for the dancefloor, or a relaxing evening at home, or simply to lift the spirits of the listener. The veteran producer said the record is an opportunity for Silva to step out from being a sideman and become a band leader. “This is the beginning of his journey as a band leader and the beginning of him finding his own voice,” said Landau. 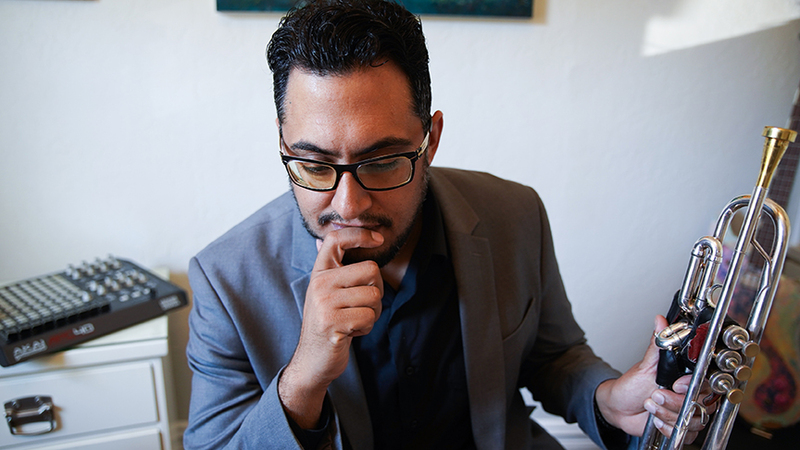 Silva’s “voice” created in “Pan-American Sonata,” an eclectic mix of Latin jazz, ragtime, Cuban son, and in some cases even Electronic Dance Music. The practice paid off. Silva has now toured close to 40 countries, playing in 29 of those with San Francisco band Rupa and the April Fishes, which culminated with a performance at Mehrangarh Fort in India. He called the experience “transcendental,” but insisted that he doesn’t have one favorite musical moment. 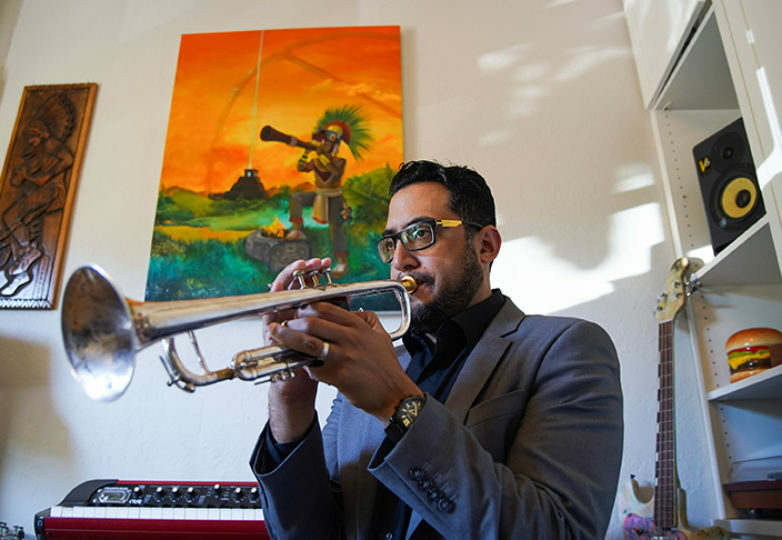 The experience is one that Silva could not have imagined when he chose to play trumpet over instruments like piano, clarinet and saxophone, all those years ago while at College Park High School in the East Bay. He probably could not have imagined that he would turn into what childhood friend and musical collaborator Mike Solomon called, “the go-to guy,” for musicians in the Bay Area. Solomon and Silva began their friendship and their music careers in band at the same middle school. 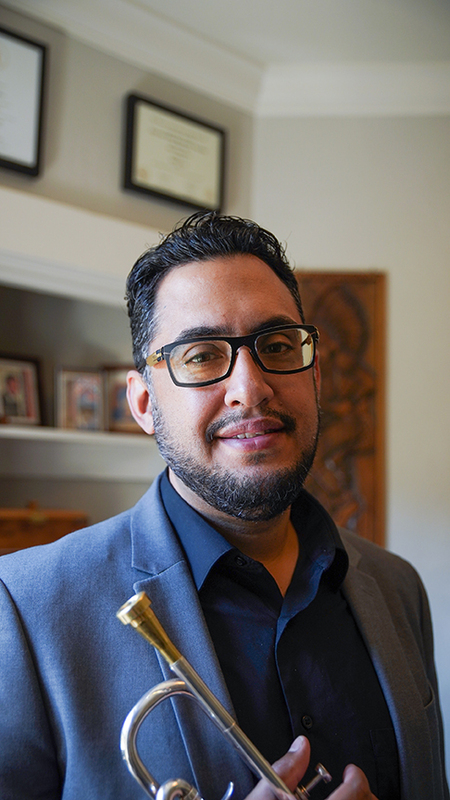 “Mario is the guy that everyone calls when they need a trumpet player,” said Solomon, who also worked on “Pan-American Sonata” with Silva, although he initially declined the invitation to do so. After some insistence from Silva, Solomon relented. Now that the record is finished, Solomon is glad he changed his mind. “I love it. It’s a wonderful record. It pushed me and was an eye opener for me and an experience I’ll never forget,” said Solomon. 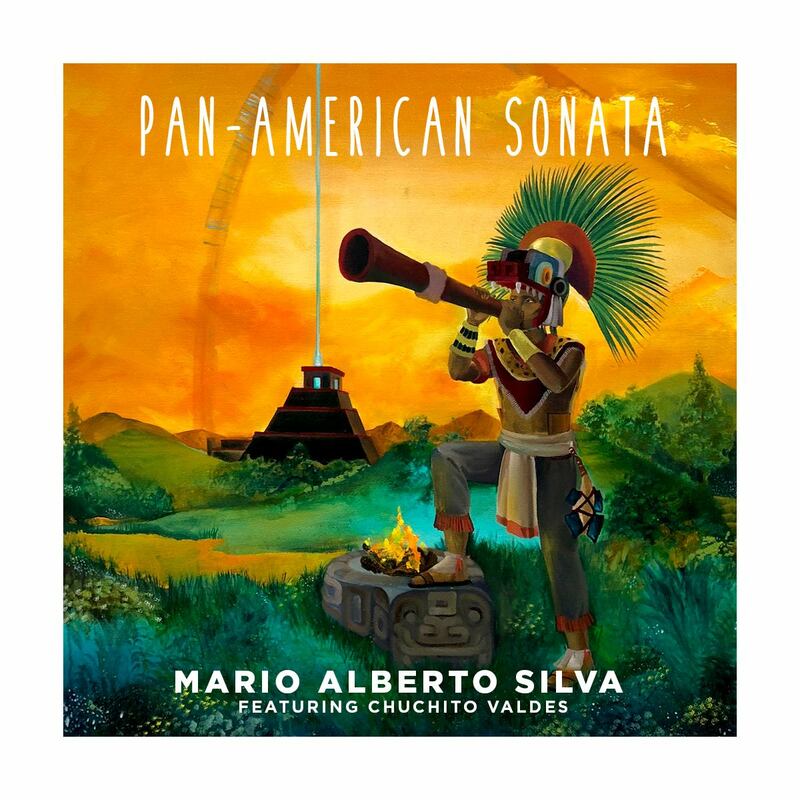 On “Pan-American Sonata,” Silva set out to tell a story with each of the songs. 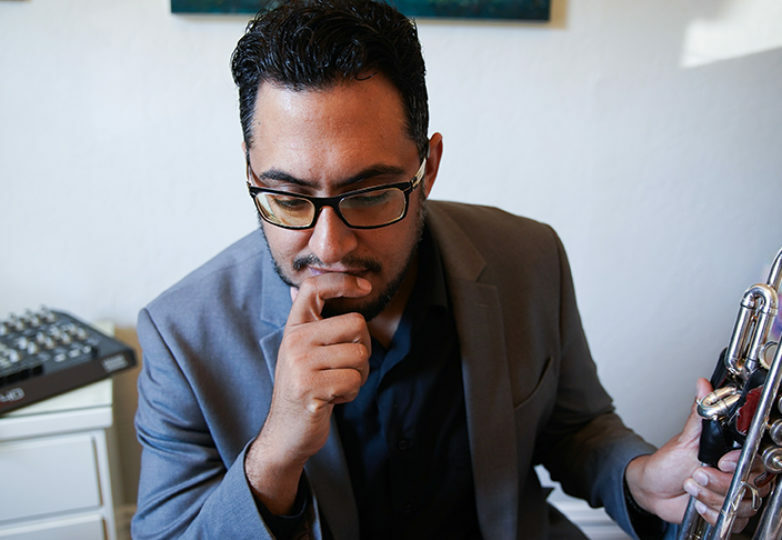 He is simultaneously sharing the story of his own musical journey, the exploration of his Hispanidad and the ways different Latin and American musical genres can “intermingle.” The result is something like we’ve never heard before. Pan-American Sonata will be released digitally in the Winter of 2018.